A commitment to quality and consistency, order after order, month after month, year after year. You demand consistency. You want to know that whenever you place an order, your product will look the same, feel the same, and wear the same as it always has. Clipper has one of the most experienced uniform manufacturing teams in the world. It’s a legacy we trace back to our founder, Lina Hu. She founded the company on providing our customers with the highest quality products at the lowest possible price. We are one of the few uniform companies in the industry who actually produce uniforms. Most companies source and purchase the products and then distribute them. Our direct manufacturing capabilities allow us to provide consistently higher quality and lower prices. Our extensive global manufacturing network enables us to remain quality-minded and price competitive. Our customers demand value, and Clipper delivers. 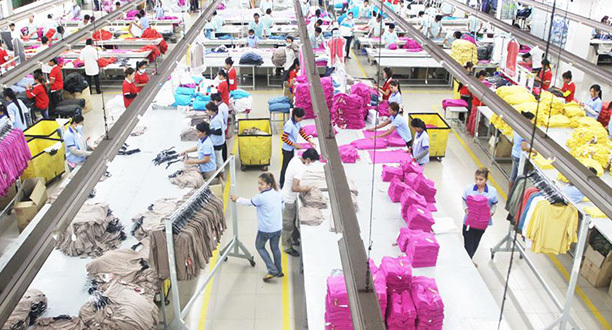 We employ techniques that are not limited by geographical location which allows us to offer a wide range of affordable, high quality uniforms produced in factories around the world. Additionally, it provides us with the ability to offer important lead-time options to our customers. We will work with you to determine the ideal locations in our network to meet your cost, inventory and delivery requirements. On-shore, near-shore, off-shore – we have the manufacturing facilities to meet your needs.